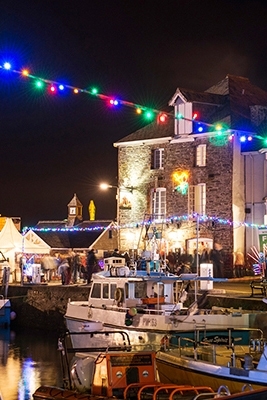 Our favourite markets and festive events to go and visit are the Padstow Christmas Festival, on from 7th - 10th Dec, the Lost Gardens of Heligan Christmas Fair on Sat 9th and Sun 10th Dec, and lastly the The Winter Gift Fayre in Truro between 12th - 17th Dec.
Now in their 54th year, the harbour lights at Mousehole will showcase floating displays of colour along the harbour wall and around the streets of this quaint little town. 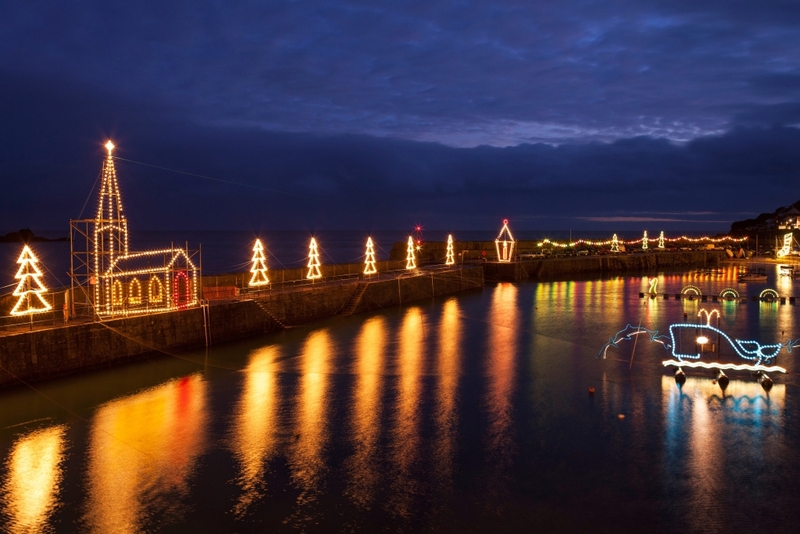 This year their annual switch on along with carol service will take part on Sat 16th Dec at 7pm, and the lights will remain on until 6th Jan 2018. 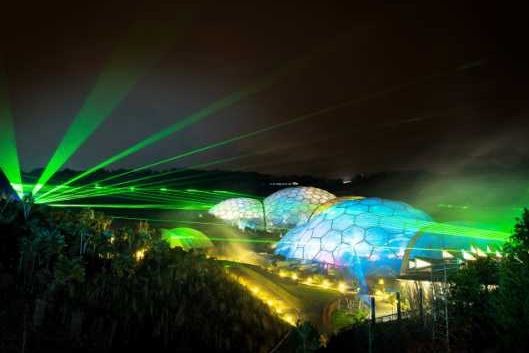 Another venue offering an unforgettable display of light is the Eden Project, and if last year’s photos are anything to go by, we’d say it looks well worth the visit! Known as the ‘Festival of Light and Sound’, Eden’s winter landscape is transformed with stunning light projections, dramatic soundscapes and live music. 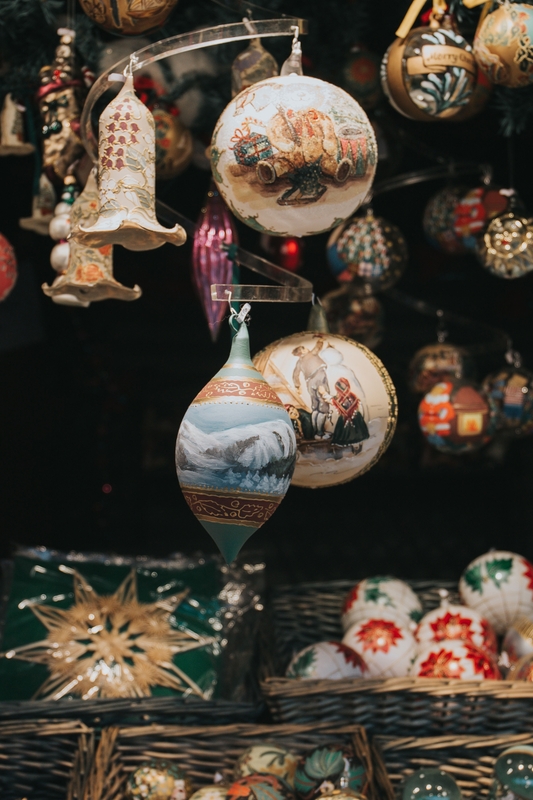 On until the 30th Dec, between 5pm – 8pm, admission is free with a standard Eden pass. And while you’re there, why not try your hand (or foot) at ice skating in the Eden ice rink? Enjoy! 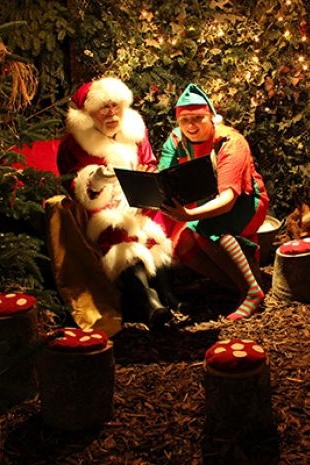 If you want to treat the kids to a fantastic festive experience, then there’s no better way than to go and meet Santa himself at the Christmas Grotto in Bedruthan Hotel. On from Fri 1st Dec to Sun 24th Dec, families can look forward to 90 minutes of unforgettable festive magic in the Sugar & Spice Grotto. 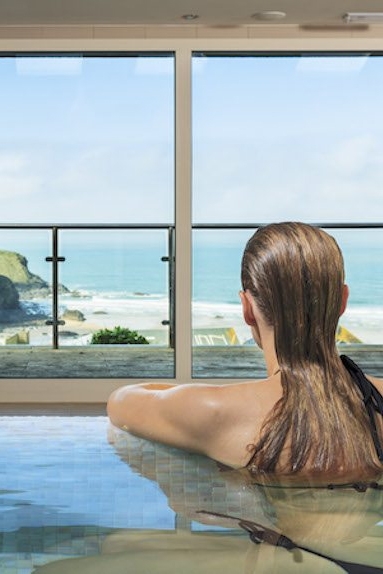 Bedruthan is a multi-award winning hotel and spa set into the cliff above Mawgan Porth Beach on the stunning North Cornwall coast, so if you wanted to also treat yourself to a spa experience or even a gorgeous meal plus a night’s stay, we couldn’t think of a better place to kick back over the festive break. There’s nothing better than a brisk walk in the wild followed by a warm sugary pick-me-up afterwards. Our favourite is a stroll across our very own Towan Beach in Newquay when the tide is low, over to Lusty Glaze Beach where you’re welcomed by their secluded bar and restaurant with an open fire to warm your cockles next to. Their menu (yes menu) of hot chocolate varieties are quite literally mind blowing. 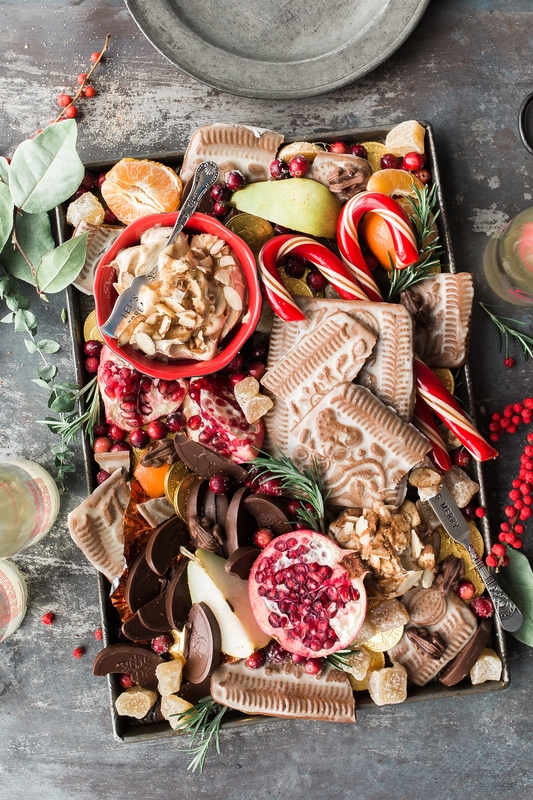 We’d recommend trying the chocolate orange or mint chocolate, or both! You can thank us later. Another perfect wintry walk, surrounded by the largest pine trees (very festive!) is in Cardinham Woods near Bodmin. With miles of beautiful trails you can explore on foot or bike, you can become totally immersed in nature and bird song for a couple of hours to fully unwind. 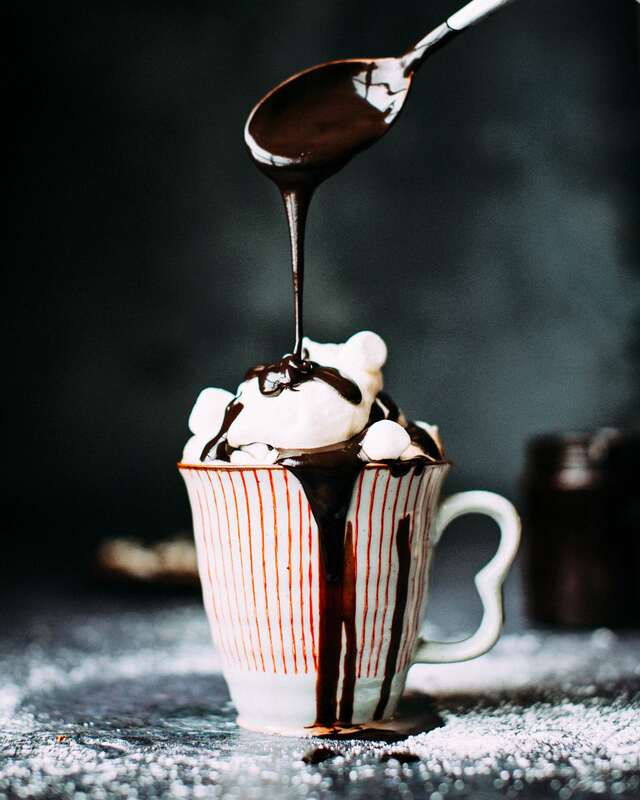 Afterwards, head to the Woods Café – recently voted the UK’s cosiest café, and sample one of their famous hot chocolates. Why not treat yourself to a tasty cake too for good measure. 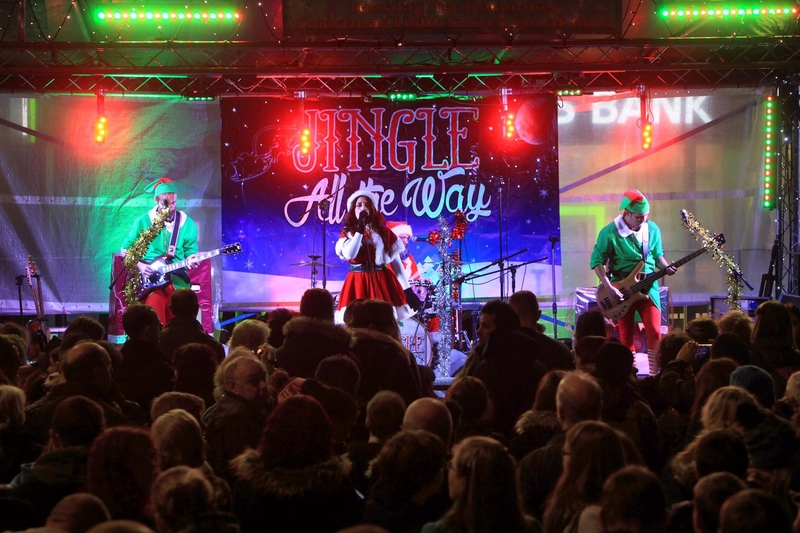 Here in Cornwall, we really know how to party, and if live music is your thing and you fancy listening to classic Christmas hits, then why not go and see Cornish festive band ‘Jingle All The Way’. Made up of Santa Claus (on the drums), Mrs Santa (vocals) and fellow elves on guitar and bass, be sure to catch this rocking Christmas quartet at a venue near you soon! On the other hand, Christmas wouldn’t be Christmas without going to watch a pantomime or play to get you into the festive spirit. This year, our much-loved Cornish comedian Edward Rowe (aka the Kernow King) will be starring in the production of ‘Sleeping Beauty’ at Hall for Cornwall, Truro. 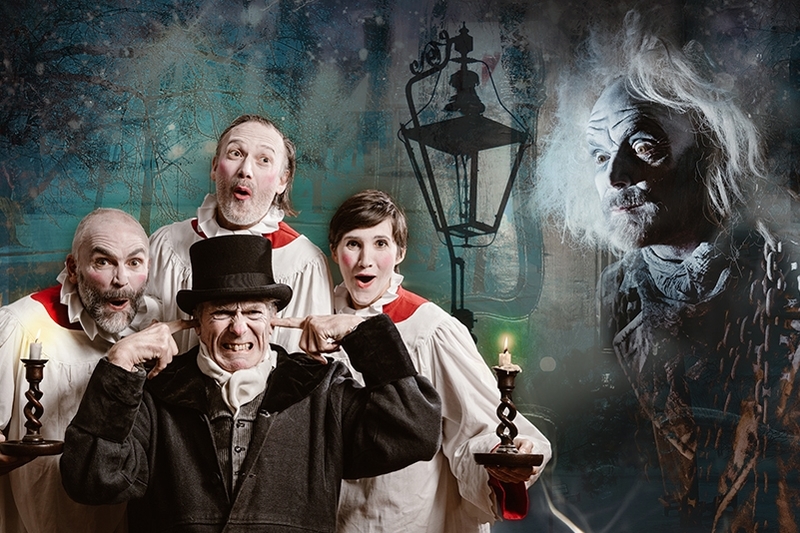 This home-grown production is set to enchant and entertain adults and children alike, with magic, music, comedy and some sparkling surprises from 5th Dec – 19th Dec. Another Christmas classic is Charles Dickens’ heart-warming masterpiece ‘A Christmas Carol’. 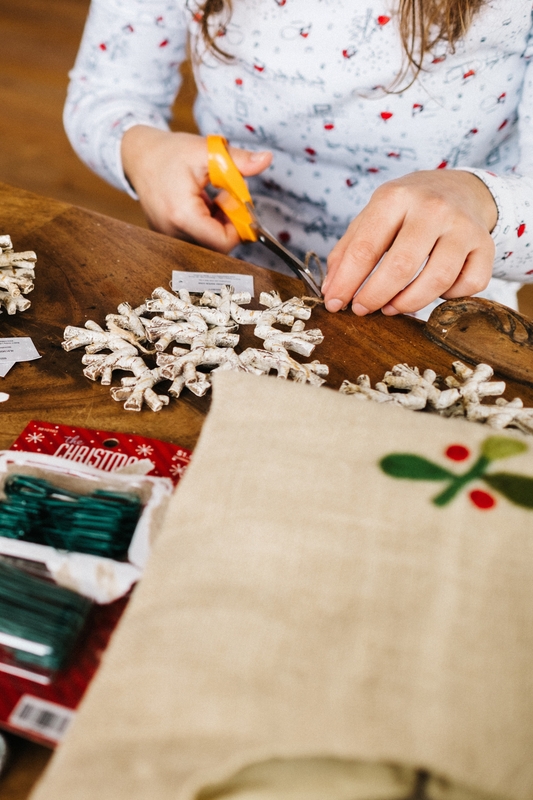 This year, the Miracle Theatre have breathed new life into this production by re-telling the story and calling it ‘Bah Humbug’ – held at the Princess Pavilion in Falmouth between 14th Dec – 31st Dec.